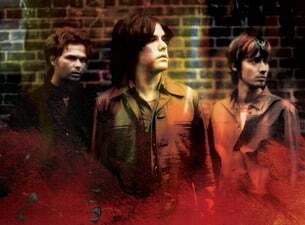 1997 was an epic year – Fans of award winning The Tea Party were celebrating the release of the band’s fourth studio album, Transmission. Reaching #3 on the Australian charts – the highest charting album ever for the band and earning double platinum status, the band have embarked on a tour to celebrate the anniversary of this hit record and now it’s Australia’s turn. With the album containing classic Tea Party hits including Temptation, Psychopomp, Release, Emerald and the title track Transmission, see The band perform Transmission in its entirety.